Show hours worked on payslips where the pay varies by the number of hours worked. These are known as itemised payslips. Currently, only employees are entitled to a payslip but from April this will extend to all workers. But with the increase in the so-called “gig economy”, there has been some confusion as to what constitutes a “worker”. A worker could be an “employee” or “self-employed”. The payslip needs to show the number of hours if pay varies by the number of hours worked. In practice, this means workers who are paid by the hour will need to see the number of hours worked on their payslip. However, workers who receive a monthly salary for a set number of hours worked do not need to see the number of hours they work on their payslip. For example, if you contract someone to work a certain number of hours at a specified salary and they don’t work overtime, and their pay doesn’t vary by the number of hours worked then you needn’t show the number of hours worked on the payslip. However, if they worked overtime and their pay varies by the number of hours worked, all hours worked each week must be shown on the payslip. There have been a couple of high-profile cases recently in relation to what constitutes a “worker” and how it differs from those who are employed or self-employed. HMRC has published further guidance around the government’s legislation on payslips. 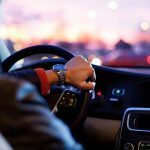 The most notable case was in relation to Uber where the Court of Appeal ruled that its drivers should be classified as workers, not contractors and should be entitled to basic rights, such as holiday pay and the minimum wage. Uber had argued that it’s role was that of an agent, connecting drivers with customers. However the Court of Appeal held that Uber drivers are classed as workers rather than independent contractors. These cases come at a time when the government has been attempting to unify the rights of workers in the gig economy (where workers are on short-term contracts or are freelancing) with those in more traditional jobs. Under changes announced by the government recently, after 12 weeks of continuous employment, agency workers will gain the same terms and conditions as permanent staff. This includes pay, working time, rest periods, night work, breaks and annual leave. There will be tougher penalties for companies that breach these rules. This contrasts with new guidance by the Department for Business, Energy & Industrial Strategy (BEIS) who agreed with a ruling made by the Court of Appeal in July which found care workers are not entitled to the minimum wage for every hour of a sleep-in shift. Companies can now continue to pay overnight care workers a flat fee instead of the minimum wage per hour of the sleep-in shift. The case may yet go before the Supreme Court this year or next which may overturn the Court of Appeal’s judgement. Although these cases provide some clarity, each case is different and will be considered on its specific facts. If you would like to discuss the tax implications of these developments, as an employer or worker, call us on 01761 241 861 or email us  today. We will be pleased to advise you or to invite you into our offices in Paulton, near Bristol and Bath, for a consultation. Sestini & Co does not offer specialist employment advice. Were there any tax surprises in this year’s Spring Statement? Disguised remuneration – are you affected?